SIUE PhD candidate Siavash Zamiran has been selected as the recipient of the The International Association of Foundation Drilling (ADSC) Midwest Chapter Cliff Murphy Scholarship for the 2016-2017 academic year; one of the $3,000 scholarships provided through the ADSC’s Industry Advancement Fund. Mr. Zamiran will be presented with the award at the annual meeting of the ADSC in PalmSprings, Califorania in early 2017. Information about the scholarship award from the ADSC website: The International Association of Foundation Drilling is an organization of specialty sub-contractors, manufacturers, suppliers, and engineers working in the anchored earth retention, drilled shaft, micropile and other related industries. ADSC’s goals for industry improvement include investment in education and research; thus in 1986 the Industry Advancement Fund (IAF) was formed. Over the past twenty-seven years, through the contributions made to the IAF, 321 Civil Engineering Graduate study scholarships have been awarded. These scholarships are intended to stimulate the involvement of highly qualified engineers in the industry represented by the ADSC. SIUE Civil Engineering graduate student Md Atiquzzaman has received the Student Paper award from the Institute of Transportation Engineers Midwestern District (MWITE) student paper competition for his research entitled “Developing Algorithms to Detect Driver Distraction Using a Driving Simulator Study.” This research attempted to develop distracted driver detection algorithms implementable in traffic monitoring operations and adaptive in-vehicle systems capable of assisting drivers to diminish distraction. The implementation of such detection algorithms have the potential to reduce traffic crashes resulting from distracted driving (e.g. texting while driving, eating/drinking while driving). 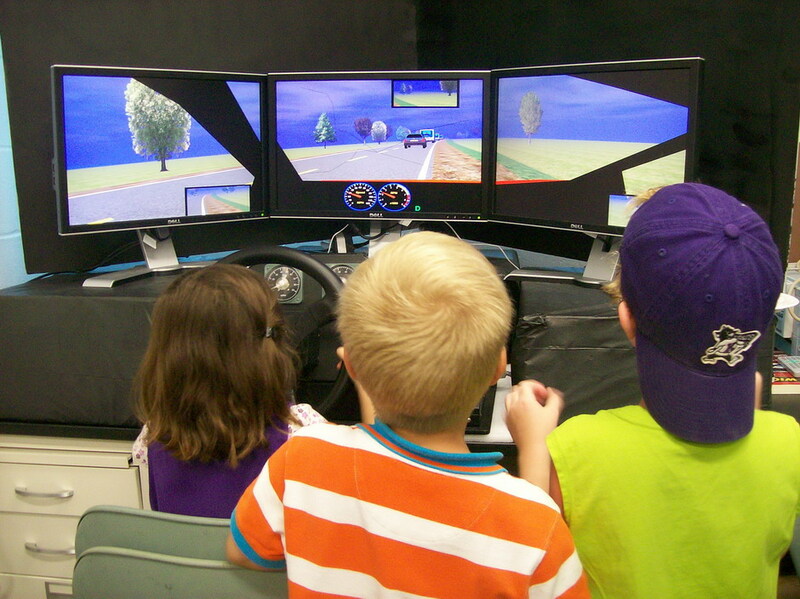 This research was conducted in the SIUE driving simulator lab and funded by a STEP grant. MWITE forwarded the research paper to the Institute of Transportation Engineers (ITE) for consideration at the national level for the Daniel B. Fambro Student Paper award. Atiquzzaman also received Graduate School Dean Rosemarie Archangel Symposium Poster award at the SIUE Graduate Research Symposium for this research. Additionally, he has received second place in the 2016 Thomas J. Seburn Student Paper award in Missouri Valley Section Institute of Transportation Engineers (MOVITE) student paper competition. Additional details can be found here. Three recently awarded research projects are being headed by Yan Qi, PhD, PE, Assistant Professor in the Department of Civil Engineering. Recommend Strategic Placement of Natural Snow Barriers - Illinois Center for Transportation has awarded this project entitled “Design of Living Barriers to Reduce the Impacts of Snow Drifts on Illinois Freeways.” The total project effort is $300,000 for the period of 2015-2018. More information about the project can be found here. Developing a Training Video and Manual for Best Practices and Techniques in Clearing Different Interchange Configurations and Other Geometric Layouts - awarded by Minnesota Department of Transportation. The total project effort is $100,000 for the period 2015-2016. Establishing Procedures and Guidelines for Pedestrian Treatments at Uncontrolled Locations - awarded by Illinois Center for Transportation (IDOT) for 2015-2017, total project funding is $175,000. Geo-Institute SIUE Chapter presents a geotechnical workshop titled “Introduction to Computational Geotechnics” in School of Engineering, SIUE on January 22 and 23, 2016. The workshop is free and 10 PDH credits and a certificate of attendance will be awarded to participants. The instructor will be Siavash Zamiran, a PhD Candidate and instructor in SIUE who is president of Geo-Institute SIUE and also staff engineer at Marino Engineering Associates, Inc. based in St. Louis, MO. Two workshops on geotechnical topics were conducted by Ph.D. student Siavash Zamiran on Friday, Jan 23, 2015 (Underground Coal Mine Stability Analysis) and Friday, February 27, 2015(Numerical Modeling in Geotechnical Engineering Using FLAC3D). A free workshop on the topic of "Numerical Modeling in Geotechnical Engineering" will be conducted by Ph.D. student Siavash Zamiran. The workshop will be held from 6:00pm-7:00pm on Wednesdays beginning July 2 through August 13, 2014 in EB0044. More information about the workshop can be found here. The Civil Engineering Department has successfully graduated two more doctoral students through the SIUE-SIUC cooperative doctoral program in engineering science. 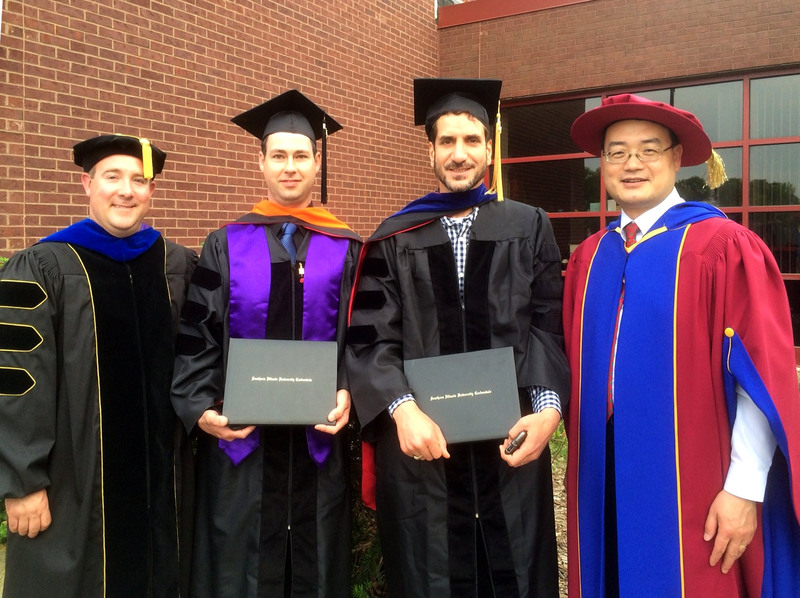 Dr. Isam Al-Yaseri (environmental engineering, advised by Dr. Jianpeng Zhou) and Dr. Michael Williamson (transportation engineering, advised by Dr. Ryan Fries) were conferred their Ph.D. degrees at the Spring 2014 commencement. By now, three Ph.D. have graduated from the Civil Engineering Department since the start of the SIUE-SIUC program. Pictured in this photo are (from left to right) Drs. Ryan Fries, Michael Williamson, Isam Al-Yaseri and Jianpeng Zhou. The 2014 SIUE ASCE Steel Bridge Team won Second Place overall out of fourteen participating school teams. In a first for SIUE, the newly formed GeoWall Team competed at the conference as well. The Steel Bridge Team won Second Place overall out of fourteen participating school teams. The team has been invited and will compete in the 2014 National Student Steel Bridge Competition hosted by University of Akron May 23-24, 2014. The Team also received second place awards for the Stiffness, Economy and Efficiency categories and Third Place for Lightness and placed Fourth in Construction Speed and Display. The members of the Steel Bridge Team were Kermit Christmann (Co-Captain, Builder), Drew Ruholl (Co-Captain, Builder), Zack Dahmm (Builder), Kyle Heinzl (Builder), Logan Fischer, Steve Driscoll, David Molohon, and Thomas Ryan. The 2014 SIUE ASCE GeoWall team competed for the first time at this competition. The GeoWall competition is also an annual event. The object of the competition is for students to design a mechanically stabilized earth (MSE) retaining wall then test it to see how it will perform in various loading scenarios. Since this was the first time that SIUE has fielded a Geowall team it was a valuable learning experience. They placed sixth out of seven teams. The members of the team were Amanda Fisher (Captain), Scott Droege, George Heitzman, Jacob Kampwerth, Jesse Tinch, and Kurtis Weber. For more information about the students' participation with more details and photos plus a full report please visit the SIUE ASCE site here. The SIUE Chi Epsilon Chapter received the 2012 Susan C. Brown Outstanding Chapter Performance Award at the National Chi Epsilon Conclave held in Los Angeles March 8-10, 2012. Our chapter was the only chapter (among 135 chapters in the nation) to receive this award three times in a row (2008, 2010, 2012). The SIUE ASCE Student Chapter hosted an Order of the Engineer Ring Ceremony at the Engineers' Club of St. Louis on Friday, February 24, 2012. The 26 inductees into the Order included 23 senior students from the SIUE Civil Engineering program: Allison L. Albrecht, Jason M. Bodart, Jared A. Boeser, Erica J. Coombs, Dominique Davinroy, Damien A. Di Vittorio, Maria R. Dust, Jessica M. Eichhorst, Anthony R. Falkowski, Ryan Z. Hann, Ryan K. Holdener, Andrew T. Johnson, Wes M. Kistler, Joshua C. Nieman, William R. Peabody, Luke A. Potthast, Dave M. Shah, Leslie F. Stallons, Melissa A. Strzelczyk, Ethan R. Thompson, Matthew A. Tobias, Jonathan E. Weaver, Blake A. Wilson. Another student, Jeff T. Chambers in the Joint Engineering Program (University of Missouri-St. Louis and Washington University), was also inducted as were Matthew D. Masterson, P.E. and Samantha M. Soto, P.E., both employed by Kaskaskia Engineering. The event organizer Leslie Stallons (a Senior in the CE program at SIUE), Marsia Geldert-Murphey, P.E. (Managing Partner of Kaskaskia Engineering) and Brent Vaughn, P.E. (SIUE ASCE Faculty Advisor) participated as officiates for the ceremony. The The Order of the Engineer "was initiated in the United States to foster a spirit of pride and responsibility in the engineering profession, to bridge the gap between training and experience, and to present to the public a visible symbol identifying the engineer." ( www.order-of-the-engineer.org) This was the third such ceremony the student chapter has held. At the 2012 School of Engineering Annual Banquet, several awards were presented to students, an alumnus and a retiring faculty member. Mr. Isam Al-Yaseri, a Ph D candidate, received the Outstanding Graduate Student Award. Undergraduate Senior Mr. Ryan Z. Hann was presented with the Outstanding Senior Award. Mr. Bradley W. Ripley received the Outstanding Junior Award. Mr. Jeffrey Abel, PE (BSCE 1991) won the CE Alumnus Award for his active participation with the ITE student chapter, guest lecturing and collaborating on research conducted by the department. Professor Dr. Chiang Lin, retiring after 28 years with the department, received the Civil Engineering department's Outstanding Teacher Award. Professor Lin taught the geotechnical, engineering materials and pavement design courses and worked with many research projects and on several SIUE service committees during his tenure. Please join us in congratulating each of these worthy award recipients. 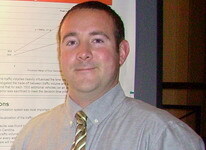 SIUE research team awarded the 2012 Illinois Center for Transportation's (ICT) "High Impact Project." The first ICT research project completed by Dr. Huaguo Zhou, Dr. Ryan Fries, Mr. Brent Vaughn, and student researchers Michael Williamson, Zhaofeng Tian, and Jing Huang has been selected as the 2012 ICT "High Impact Project" Award. This award recognizes the outstanding level of research accomplished by the SIUE research team. The final report of the project , entitled "Development of a Highway Incident Management Operational & Training Guide," has been published at the ICT website and cited by the National Transportation Research Board e-newsletter. The training guide has helped train over 300 first responders in Illinois to-date. The research team is currently working on the second phase of the project to continue improving highway incident management through effective training. This award will be presented at the 98th Annual Transportation and Highway Engineering (THE) Annual Conference on February 29th, 2012. Dr. Hasan Sevim, Dean of the SIUE School of Engineering, has announced changes in the Department of Civil Engineering effective January 3, 2012. "Dr. Susan Morgan has resigned from the position of the Chair of the Department of Civil Engineering as of December 23, 2011. She accepted the position of the interim associate dean of the Graduate School effective January 3, 2012. She will remain in that position until a search is conducted for a permanent appointment. We thank Dr. Morgan for her excellent service as one of the Chairs of The School during the last five years. "The faculty of the Civil Engineering Department recommended Dr. Jianpeng Zhou as their new Chair. I concurred with the recommendation of the faculty and appointed Dr. Zhou as the Chair of the Department of CE for the 2012-2015 term effective January 3, 2012. Please offer your cooperation and extend your congratulations to Dr. Zhou on his new assignment." The faculty and staff of the CE department congratulates Dr. Morgan on her new position as Acting Associate Dean of Research in the Graduate School and appreciates her capable leadership of our department over the last several years. We thank Dr. Zhou for his service as our Graduate Program Director over the past few years and look forward to working with him in his leadership role as Chair of our department. We also wish to announce Dr. Ryan Fries will take over as Graduate Program Director for the CE program. Please join us in congratulating each of these fine faculty members of our department and wish them well in their new assignments. The Department of Civil Engineering congratulates graduate student Mr. Michael Williamson for receiving the Graduated Scholarship award from the Illinois Section of the Institute of Transportation Engineers. Each year one graduate student from among all universities in Illinois is selected to win this scholarship. Mr. Williamson is our second Ph.D. student who has earned this prestigious award after our first graduated Ph.D. student Dr. Jiguang Zhao. Michael has worked for Dr. Huaguo Zhou as an undergraduate student researcher. He served as the SIUE ITE student chapter president for several years. Last summer, he successfully defended his Master thesis and immediately started work toward earning his Ph.D. degree at SIUE last Fall. His thesis has been accepted to be presented and published at an international conference. According to Dr. Zhou, Mr. Williamson is "one of most hardworking students I've ever seen. I believe that he will be another successful example for the joint Ph.D. program." Our first Ph.D. student, now Dr. Jiguang Zhao, was hooded by Dr. Hasan Sevim and CE department Assistant Professor Dr. Huaguo Zhou at the Fall 2011 commencement ceremony on December 17, 2011. He was the only student standing up on behalf of Ph.D. students. It was quite a bit historical moment. The Department congratulates Dr. Zhao for this momentous achievement. 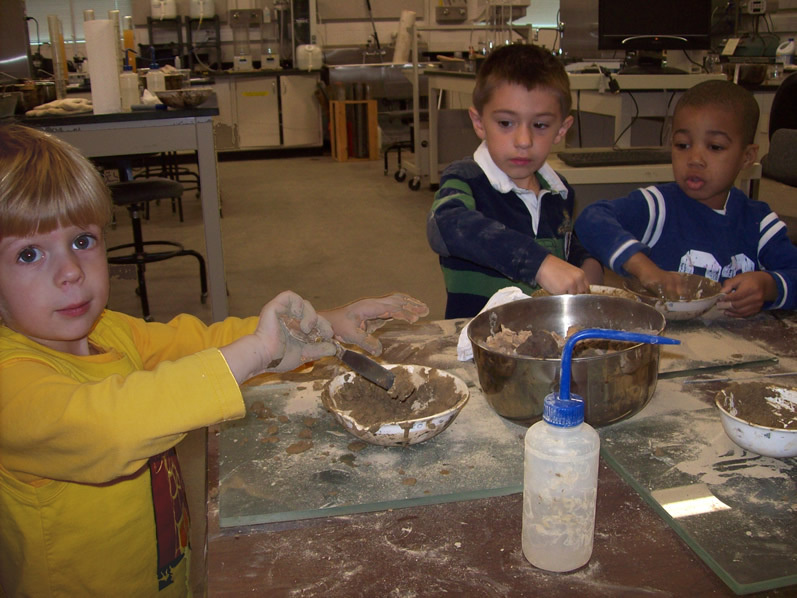 On Friday, October 21, 2011, 43 SIUE Early Childhood Center preschoolers and their teachers set out on a field trip to see the SIUE science building construction site. On the way, Mr. Mark Grinter, an Assistant Professor in the Department of Construction, led them in an activity to measure distance by pacing. Much to everyone's excitement, they arrived outside the construction site just as a wall panel was being loaded on a crane and lifted into place. They finished their trip looking through surveying equipment with the help of Mr. Daniel Baker (a senior civil engineering student), Dr. Ryan Fries (an Assistant Professor in Civil Engineering), and Dr. Susan Morgan (a Professor in Civil Engineering). 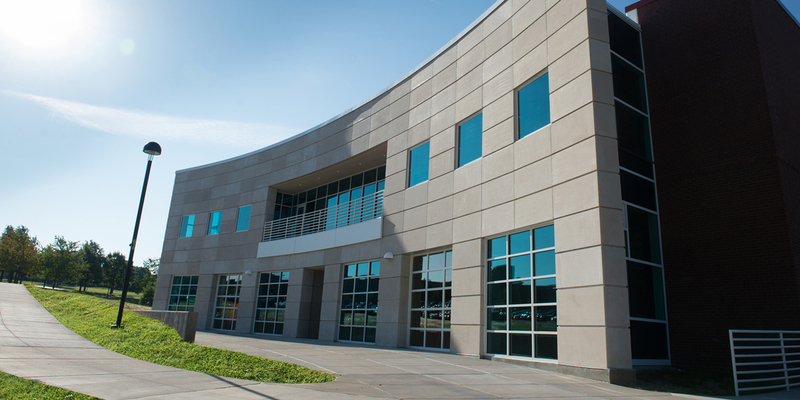 To address the needs of the civil engineering profession, the SIUE Department of Civil Engineering has created two professional development sequences (PDS) for post-baccalaureate study. Both highlight aspects of sustainable development relevant to civil engineers. The PDS for Sustainable Infrastructure includes courses on sustainable engineering (CE 596), intelligent transportation systems (CE 578), and municipal infrastructure (CE 460). The PDS for Sustainable Planning includes courses on sustainable engineering (CE 596), solid waste management (CE 588), and transportation planning (CE 475). Students must meet the criteria for entry into the civil engineering masters program to pursue either PDS ( http://www.siue.edu/engineering/civilengineering/graduate/admission.shtml). Students who successfully complete a PDS will receive a certificate from the School of Engineering. The courses can be applied toward the civil engineering masters degree. For more information, contact Dr. Jim Zhou, Graduate Program Director, at 618-650-3221 or jzhou@siue.edu. The SIUE American Society of Civil Engineers (ASCE) Student Chapter met with and successfully competed against several other top midwest university ASCE student chapters at the 2011 ASCE Midcontinent Regional Conference(MCRC) April 28-30, 2011, hosted by Kansas State University in Manhattan, Kansas. Activities at the annual conference include several competitions and presentations for students to exhibit their engineering projects and competitive spirit. The Steel Bridge team came home with three awards - First Place for Display and Aesthetics and Third Place for Stiffness. Team Captains were Jack Deeken, Tyler Whitney, Evan Taylor. Team members included Jacob Allen, Jessica Eichhorst, Ray Reynolds, Luke Potthast, Anthony Falkowski, Cody Wolff, Aaron Haverfield, Daniel Woehl, Bryan Bartnik, Gary Whiteside, and Sandy Walter. Special mention goes to Cody Wolff for the outstanding welding job he did, and you can see the bridge on display in the atrium. There were 12 teams competing this year. The Concrete Canoe team came in 4th place overall but also brought back several awards - First Place for Men's Sprint and Women's Sprint races; Second Place for Co-ed, Women's Endurance and Men's Endurance races; Third Place for Design Paper. Team Captains were Jared Deimel and Blake Wilson. Team members included Melissa Strzelczyk, Jared Boeser, Will Peabody, Michael Voigts, David Dixon, Kate Sodam, Joe Fehrenbacher, Matt Combes, Sandra Walter, Jessica Eichhorst and Brad Ripley. The boat still looks great and is on display in the atrium. Jessica Eichhorst won First Place for her technical paper, entitled "Ethics and the ASCE Report Card for America's Infrastructure". There were twelve entries this year. Melissa Strzelczyk, Sandra Walter and Jessica Eichhorst received the Second Place award for the Mystery Event (making a balloon boat that had to travel a certain distance and hold a load). 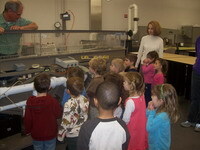 The CE labs were visited on April 20, 2011 by 13 preschoolers from the Willow Room at SIUE's Early Childhood Center and then on May 18, 2011, by 24 preschoolers from the Prairie and Cypress Rooms. They learned about civil engineering while playing with water and soils, making concrete cubes, and guessing the size of a traffic signal. Join us in congratulating Dr. Ryan Fries, who received the national ASCE 2011 ExCEEd New Faculty Excellence in Teaching Award! The award recognizes outstanding civil engineering faculty who have 5 years or less full-time teaching experience. Ryan joined the Department in 2008 from Clemson University and specializes in transportation engineering. The Department is pleased to announce our nominees for SIUE's Senior Assignment Showcase. Bryan Lee and Michael Tappendorf will make a presentation on their Fall 2010 project evaluating roundabout projects in Edwardsville. Baraa Ghandour, Stephen Noeth, and Daniel Woehl will make a poster about their Spring 2011 project designing a two-way concrete building slab. Information about the Showcase is available at http://www.siue.edu/showcase/senior_assignment.shtml. They will be honored at the School of Engineering banquet on Feb. 15. Our students also continue to do very well on the FE exam with 88% of currently enrolled students passing the civil exam last October, compared to the national average of 69%. In all the individual subjects our students did better than their national comparator group. Please help us congratulate these award winners. Dr. Huaguo Zhou and Dr. Ryan Fries, assistant professors in the Department of Civil Engineering at SIUE, received a two-year research project 'Development of Highway Incident Management Training Guide" for the Illinois Center for Transportation (ICT)/IDOT. The objective of the project is to develop a comprehensive Highway Incident Management Operational and Training Guide that can be used by multiple agencies to (1) enhance the safety of all incident responders and motorists encountering incidents; (2) improve the overall operations of highways and interstate corridors; and (3) improve communication, coordination, and cooperation among all incident-responding agencies. Dr. Huaguo Zhou, Dr. Ryan Fries, Mr. Brent Vaughn, and Dr. Chiang Lin, faculty in the Department of Civil Engineering at SIUE, received a two-year research project 'Investigation of Contributing Factors Regarding Wrong-way Driving on Freeways." The objective of this research is to determine contributing factors to wrong way driving on freeways, and to suggest promising, cost-conscious means to reduce this driving error and related crashes in Illinois. Mr. Randy Cook, E.I., a graduate student in the Department, received a 2010 Freeman Fellowship from the American Society of Civil Engineers. 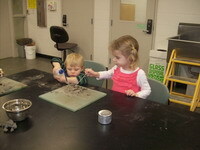 The fellowship provides funds to graduate students to cover expenses for research and experiments. Randy is studying the infiltration of rain gardens. 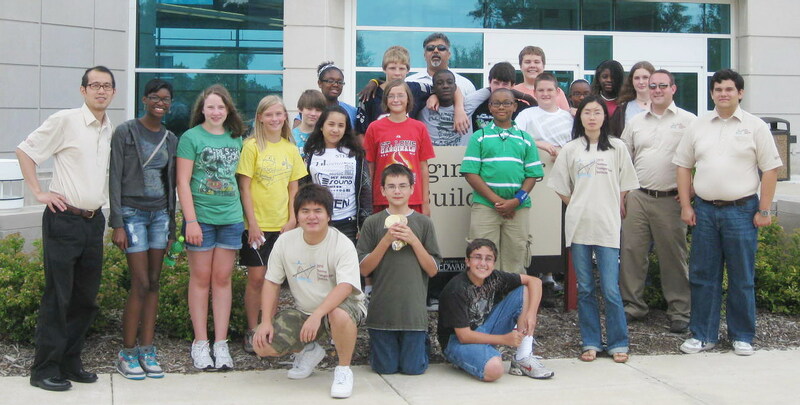 Twenty middle-schoolers participated in the Department's 2010 Summer Transportation Institute that took place July 5 - 16. IDOT funded the project, which was a collaboration between SIUE Civil Engineering and SIUC Civil Engineering. Drs. Ryan Fries and Huaguo Zhou, Assistant Professors in the Department, organized the camp with assistance from Dr. Sanjeev Kumar, Chair of SIUC's Civil Engineering Department. The students, primarily from metro-east schools, had 10 full days of learning about many aspects of transportation engineering, including bridges, traffic, soils and materials, water and air transportation, construction, and emergency response. Four SIUE ITE student chapter members attended the 44th annual Midwestern ITE conference in Minneapolis, Minnesota. The members met with the ILITE president and former VP of ITE International. (1) Jiguang Zhao won the first place in the Midwestern ITE student paper competition. This award is given to students based on selected papers submitted within the Midwestern District. Jiguang will receive $600 for the paper competition. He is a Ph. D. student of transportation engineering under the guidance of Dr. Huaguo Zhou. (2) SIUE undergraduate student Michael Williamson won first place in the Midwestern ITE student poster presentation competition. Michael's topic was an evaluation of the Highway Emergency Lane Patrol program on the Illinois Tollway. Michael received $400 and a certificate. (3) Three transportation students competed in the Regional Competition On June 28, 2010. The SIUE Institute of Transportation Engineers (ITE) Chapter placed 4th out of 8 teams in the Midwestern Traffic Bowl sponsored by the Midwestern District. The team members were Michael Williamson, Jiguang Zhao and Mostafa Gahrooei. The Traffic Bowl is a Jeopardy-style competition where student teams of three answer questions related to transportation engineering, design, planning, and operations. 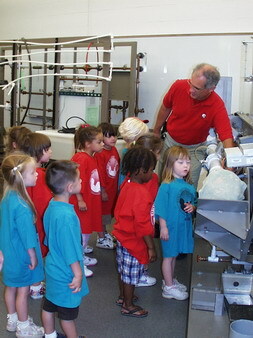 On June 4, 2010 the civil engineering (CE) labs were teeming with preschoolers from SIUE's Early Childhood Center. The Willow Room visited to learn about some basic CE concepts. 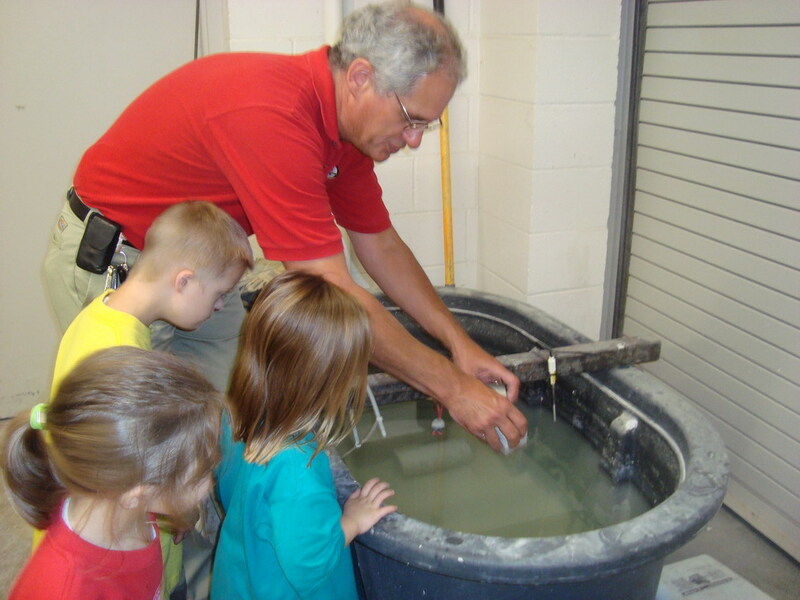 Mr. Brent Vaughn, CE lab specialist, demonstrated open channel flow and what happens to concrete when it's crushed. Dr. Susan Morgan, CE Professor and Chair, introduced stream flow and erosion. 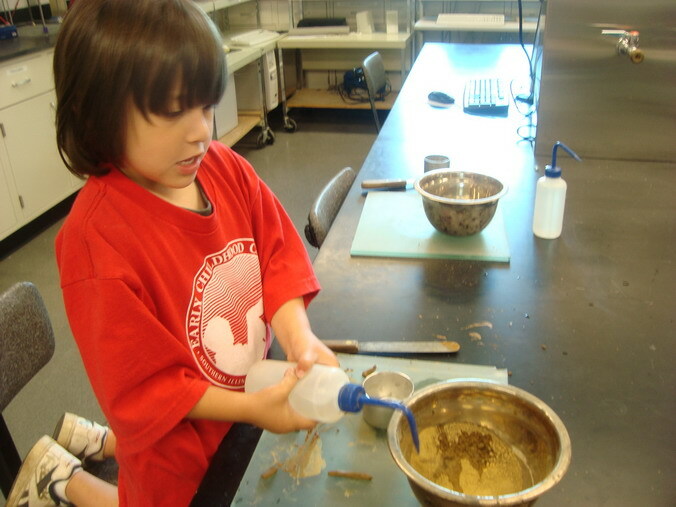 And the kids played with clay soil with Dr. Anne Werner, Construction Department Assistant Professor, and with sand with Mr. Isam Alyaseri, CE graduate student, to learn how the different soils behave when they are mixed with water. 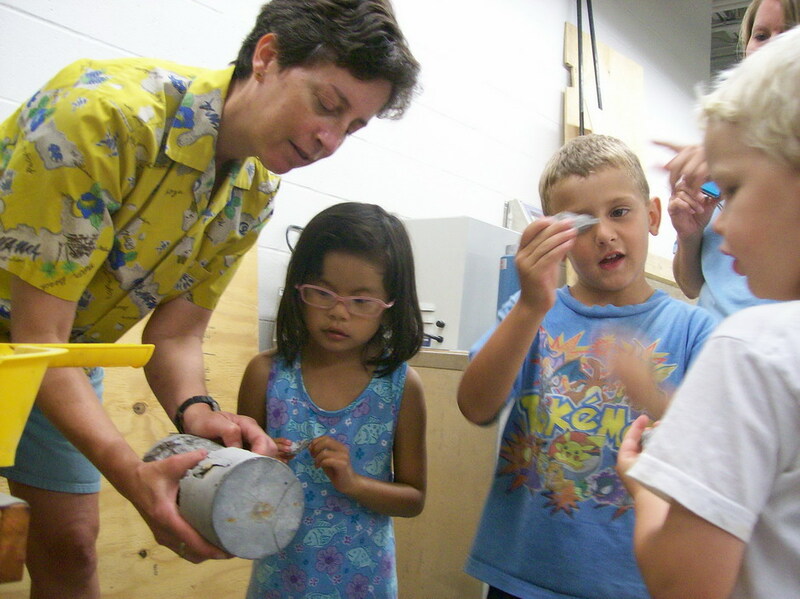 On June 23, 2010, with over a 100º heat index, participants in SIUE's Early Childhood Center school-age program walked to the Engineering Building to visit the civil engineering (CE) labs. Mr. Vaughn demonstrated open channel flow. Dr. Morgan introduced stream flow and erosion. Dr. Werner crushed concrete and demonstrated floating concrete. Mr. Alyaseri, helped them sieve sand. And, a highlight of their trip, Mr. Mostafa Gahrooei, CE graduate student, supervised them while they used the driving simulator. The SIUE chapter of Chi Epsilon has been awarded the National Civil Engineering Honor Society's Susan C. Brown Outstanding Performance Award for 2010. SIUE's Chi Epsilon is one of the eight chapters out of the 136 member chapters that won the award for a 4-year period. The chapter also won the award in 2008. The officers for the 2009-2010 school year include Shane Kent Richardson - President; Laura Ann Niemeyer - Vice President; Franklin William Sharpe - Treasurer; Bryce Adam Whitworth - Secretary; Brian Robert Schuh - Editor of the Transit; Samuel James McShane - Pledge Marshal. Professor Nader Panahshahi is the faculty advisor for the SIUE chapter. Chi Epsilon is the Greek name for the National Civil Engineering Honor Society whose stated purpose is "Dedicated to the purpose of maintaining and promoting the status of civil engineering as an ideal profession, Chi-Epsilon was organized to recognize the characteristics of the individual civil engineer deemed to be fundamental to the successful pursuit of an engineering career, and to aid in the development of those characteristics in the civil engineering student." Among the activities the SIUE chapter is involved in, they also coordinate the annual FE Exam refresher series to help students prepare for the FE Exam. The Department of Civil Engineering congratulates the Chi Epsilon members for their outstanding performance and Prof. Panahshahi for his leadership of the chapter. SIUE Civil Engineering Ph.D. student Jiguang Zhao has won First Place in the Missouri Valley Section-Institute of Transportation Engineers (MOVITE) 2009/2010 student paper competition (Thomas J. Seburn Award). The title of the winning paper is "Safety Issues of Left Side Off-Ramps on Freeways". 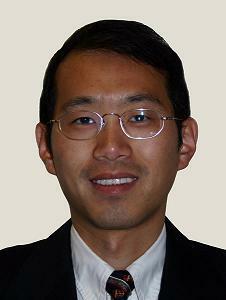 Mr. Zhao's advisor is Dr. Huaguo Zhou, Assistant Professor in the Civil Engineering department. 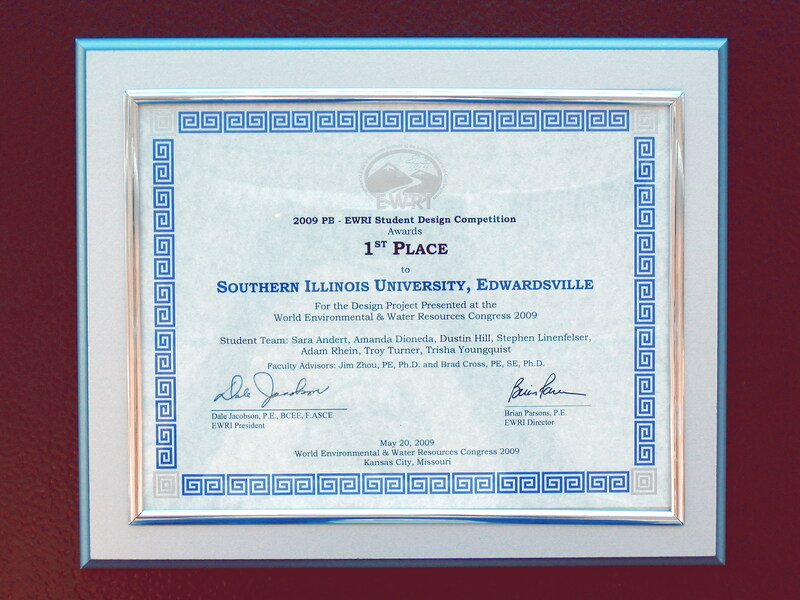 The award will be presented to Mr. Zhao at the 2009 Fall MOVITE meeting to be held September 2009 in Springfield, Missouri. The Fall 2008 Civil Engineering Senior Design Environmental Student Team at Southern Illinois University Edwardsville (SIUE) took first place honors in the Parsons Brinckerhoff Environmental and Water Resources Institute Student Design Competition held in conjunction with the 2009 ASCE EWRI World Water and Environmental Congress May 17-21, 2009 Kansas City, Missouri. The team had been previously selected from national entries to compete as finalists in the Congress. The presenters at the conference included Stephen Linenfelser, Troy Turner, and Trisha Youngquist (team leader).Other members of the SIUE design group included Sara Andert, Amanda Dioneda, Dustin Hill, and Adam Rhein.Faculty sponsors of the team are Profs. Jianpeng (Jim) Zhou and Brad Cross. The SIUE environmental group project detailed the environmental aspects of an upgrade to the SIUE Heating and Refrigeration Plant. Items related to indoor air quality, drinking water quality, hazardous materials, environmental hazards, and noise levels were included in an environmental quality review.Recommendations were made based on the building's current usage as a maintenance facility as well as potential future uses for engineering lab space. The SIUE ASCE Student Chapter teams once again competed very successfully at the 2009 Mid-Continent Conference held at SIUC in Carbondale, Illinois. 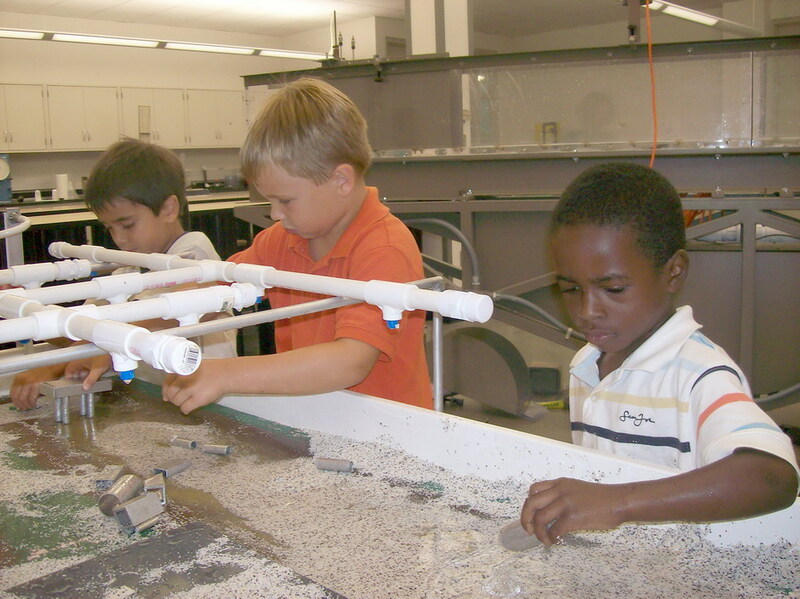 The Concrete Canoe team earned First Place Overall so they are eligible to compete at the 2009 National Concrete Canoe Competition at the University of Alabama in Tuscaloosa. The Steel Bridge team earned Third Place Overall so they too are eligible to compete at their corresponding national event which is the 2009 ASCE/AISC National Student Steel Bridge Competition to be held at the University of Nevada-Las Vegas in Las Vegas. While both teams have each made it to at least one national competition before, this is the first time that the two SIUE ASCE student chapter teams have earned their place at the national competitions in the same year. 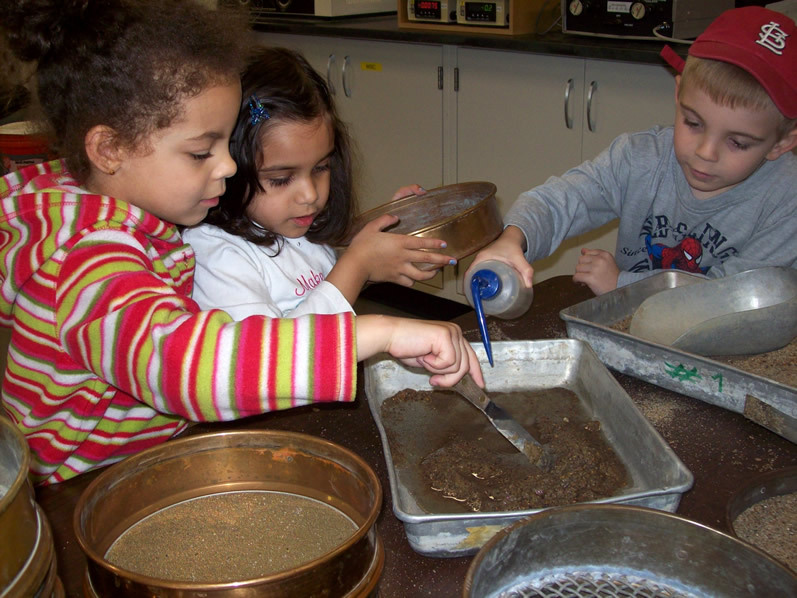 On February 17 SIUE's Early Childhood Center's Blue Room visited us, so the labs were full of boisterous preschoolers getting wet and dirty while learning a few basic engineering concepts. Susan Morgan, Brent Vaughn, and Trisha Youngquist (CE graduate student) introduced the kids to water flow, erosion, soil size, and plasticity. 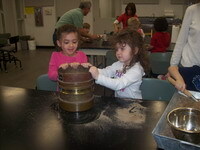 Please see photos of the preschoolers' visit below. Please join us in congratulating these winners. 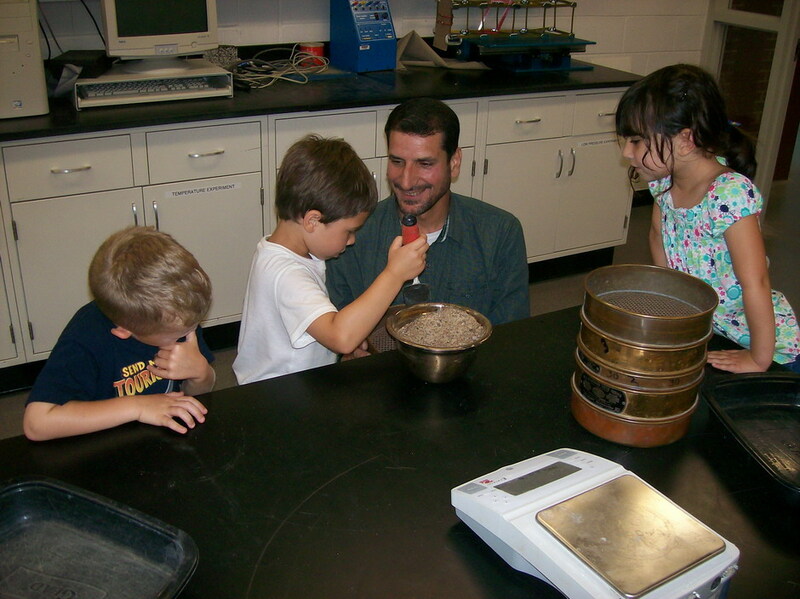 Dr. Ryan Fries will join SIUE's civil engineering department this fall starting as an assistant professor. His area of focus is transportation engineering, specifically intelligent transportation systems. Ryan has recently moved from Clemson University in South Carolina, where he completed a position as an adjunct faculty member and post doctoral researcher. Clemson University is also where Ryan earned his doctorate and masters degrees. He recently passed his P.E. exam last spring and is looking forward to the publication of his first book this November titled Transportation Infrastructure Security Utilizing Intelligent Transportation Systems. Dr. Huaguo Zhou joined SIUE as an assistant professor in transportation engineering with the Department of Civil Engineering this fall. He holds a Ph.D. degree in transportation engineering from the University of South Florida and a bachelor's and a Ph.D. degree in railway engineering from Beijing Jiaotong University. Before joining SIUE, he worked as a senior research associate at the Center for Urban Transportation Research (CUTR) at the University of South Florida. He has published 14 peer reviewed journal papers and over 30 conference papers, and conducted research on many transportation projects including traffic operations, highway and transit safety, computer simulation, access management, and incident management. He recently received the distinguished cash award of 2008 Florida Davis Productivity Awards.